They have little relation to reality for fibromyalgia diagnosis! - moreover, fourteen of the eighteen points are postural muscles. As such they are covering many fibromyalgia trigger points but this is for a specific reason that are discussed in another chapter. Its desire to define fibromyalgia as a fuller picture ignores the fact that it never develops as such overnight, out of the blue! All slowly developing fibromyalgia symptoms are ignored for quite a while. Its desire to define fibromyalgia as an extensive disease leaves a great number of patients in limbo about what they are suffering from as they start having pain on one side for quite a while before slowly and surreptitiously extending to the other side. Even if fibromyalgia develops slowly and is not that obvious to start with, it may have more clues to what is happening and those clues are ignored at the patient’s expense. What are those clues? They are all the other signs and symptoms that are frequently encountered in fibromyalgia. Fatigue develops rapidly and its association with muscle pain is highly suggestive. I do not think I would talk about fibromyalgia with muscle pain or fatigue alone without the other. Are they enough? Probably not. They may be enough together but the probability of fibromyalgia is increased if other signs are also present. - give the patient a probability of having fibromyalgia. This is a new tool and is not yet defined with precision. Probability of having a symptom in a diagnosed fibromyalgia has been done but it will always be difficult to ascertain it with precision given the absence of a specific biological marker at present. - find painful points that may be suggestive of other deficits (such as hypovitaminosis D) or of other diseases. - define those points that may be helped by direct injection when this type of treatment is required. Otherwise, it is totally useless. Even when one considers that a very sensitive skin point may overlay a muscle point. How to distinguish the two? Say that the point is not a real one because pain occurs before the four kilograms pressure at which the muscle point should be defined? This is a waste of time when so many other clues are present and defining. Fibromyalgia diagnosis rests mainly on the history and description by the fibromyalgia sufferer. What's important is to make sure that other frequently associated disease are not overlooked and that effective treatment for fibromyalgia patients is started early! Fibromyalgia diagnosis should be an early one so fibromyalgia treatment is successful. This is a condition to avoid entry into chronicity. The clues are there for those who listen. 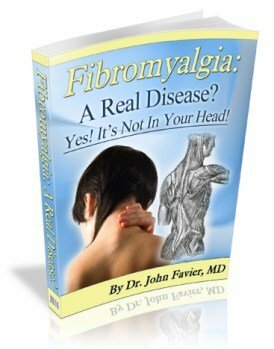 To understand why you have fibromyalgia, click on the book! Fibromyalgia diagnosis is based on balance of probabilities using all the fibromyalgia symptoms. Fibromyalgia diagnosis is enhanced by the presence of triggers, co-morbidities or family history. The diagnosis is helped by the use of tools to better understand the suffering.